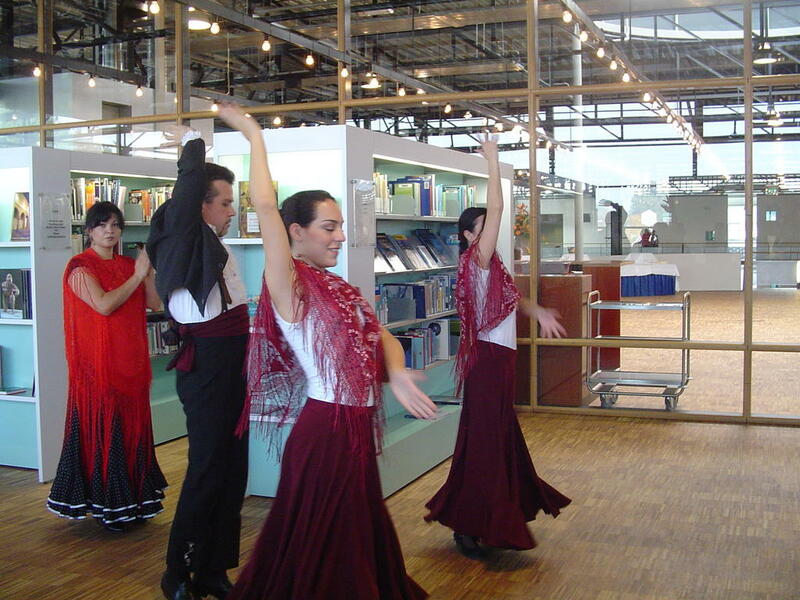 Passion for Sevillanas in The Netherlands ! 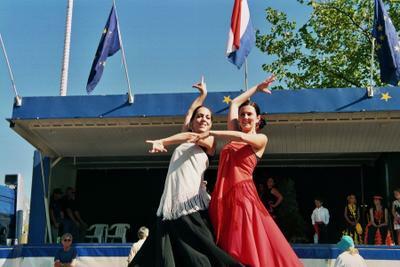 Tinto de Verano is a Spanish dance group based in The Hague (The Netherlands). 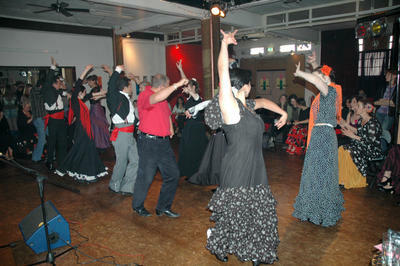 We dance and teach Sevillanas in Holland as well as abroad. Though the group has been founded in the beginning of 2005, we have a wide experience teaching (since 1997) and dancing separately. 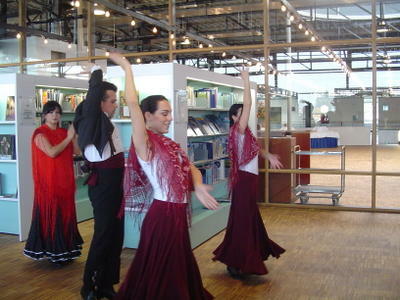 We can teach sevillanas and organize workshops in five languages: Spanish, English, Dutch, Russian, and Italian. Shows: Would you like to have a nice Spanish atmosphere at your private party, wedding, company's party? Contact Tinto de Verano. We can offer you a complete show, including a workshop, with interactive participation of your guests!! For further information, please see our Contact section. WHAT DOES "TINTO DE VERANO" MEAN? "Tinto de Verano" is a typical Mediterranean drink, made from red wine and sparkling lemonade. It is a very digestive drink. Since it has very little alcohol it is great as an apperitive beverage for all kinds of celebrations. It is best served with ice and lemon. * This blog: here we will keep you informed about our upcoming shows, lessons, etc. 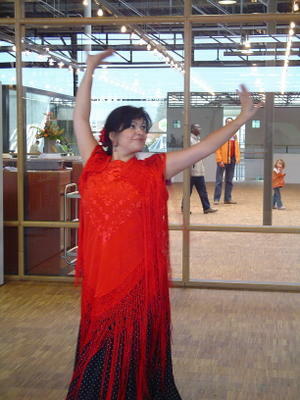 We are ready to start the new Sevillanas lessons season in October 2009 !!! For further information, you can visit the website www.spaansedans.nl. 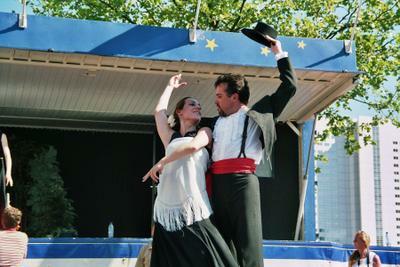 Euroferia 2005 (Brussels): two couples of Tinto de Verano participated in the Euroferia Sevillanas Contest in Brussels. We won Second and Third prizes !! We are very proud about it. Next year, we will do our best to get the First prize. 1 Anderfestival (Schijndel, The Netherlands): one couple of Tinto de Verano won the First Prize !! Well done Imelda and Aurelio !! During the Euroferia 2005 (Brussels) we lost our video camera. We are very sad about it because we had recorded all our performances and others' which were quite unique. If anyone of you has a video tape with Tinto de Verano's performances, we would appreciate it if we could have a copy of it. Please send us an e-mail to tintodeverano.sevillanas@gmail.com and let us know what you have for us :-) Thank you all in advance. We are a diverse group with one common passion: Sevillanas. We enjoy dancing, teaching Sevillanas, and performing. 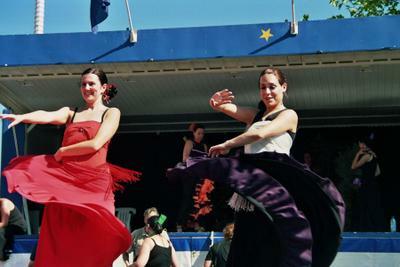 Tinto de Verano consists of 4 enthousiastic dancers. 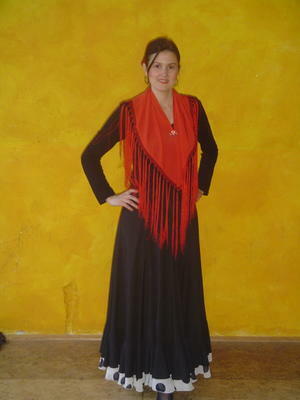 Imelda Echevarria: I was born in León, Spain, in 1982. Although my first Sevillana lesson took place in my hometown when I was only 8 years old, it was in 1996, when I moved to Holland, when my Sevillanas journey really started. I took lessons from Aurelio and Sandra Sanjuán and moved on dancing some Flamenco, under guidance of Joke Uljee in Leiden. After a while I started teaching Sevillanas, together with Aurelio. Aurelio Alonso: I was born in Cartagena, Spain, in 1966. I learned how to dance Sevillanas from Spanish dancers in El Puerto de Santa María, Cádiz (Spain) when I was a teenager. 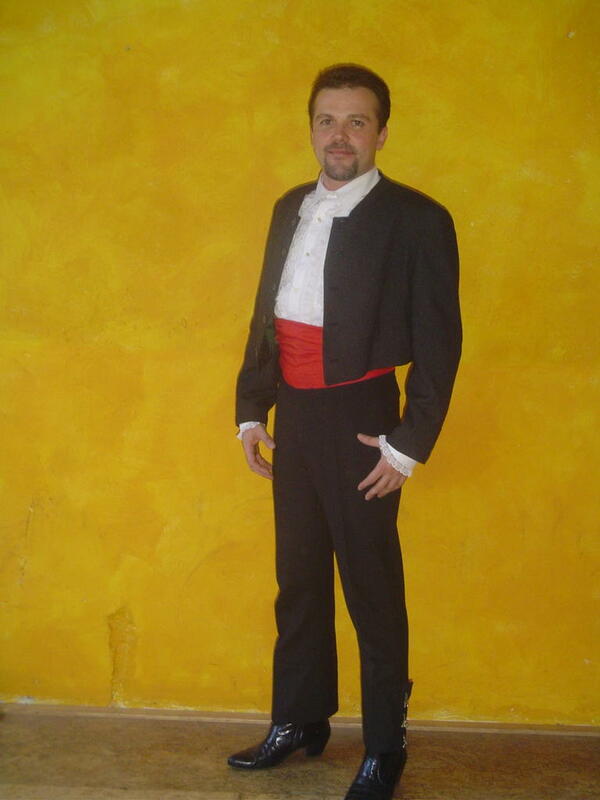 Later I improved my style by assisting to a private Dancing School, also in El Puerto. Since 1997 I have been teaching Sevillanas in different locations of Holland, and have been performing regularly, both in Holland and in Belgium. 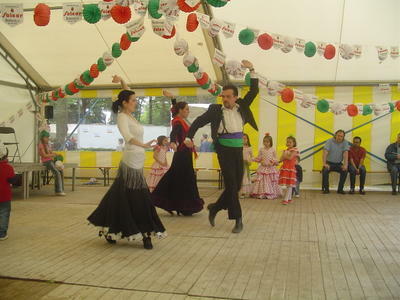 I have taken part in different Sevillanas contests as participant and as jury. Every year I attend one of the most important Ferias in Spain (Málaga, Jerez, Puerto de Santa María, etc) together with our enthousiastic Dutch pupils. Ekaterina Gasperovitch: I was born in Tbilisi – capital city of Georgia – in 1967. Since 1993 I live in Holland. 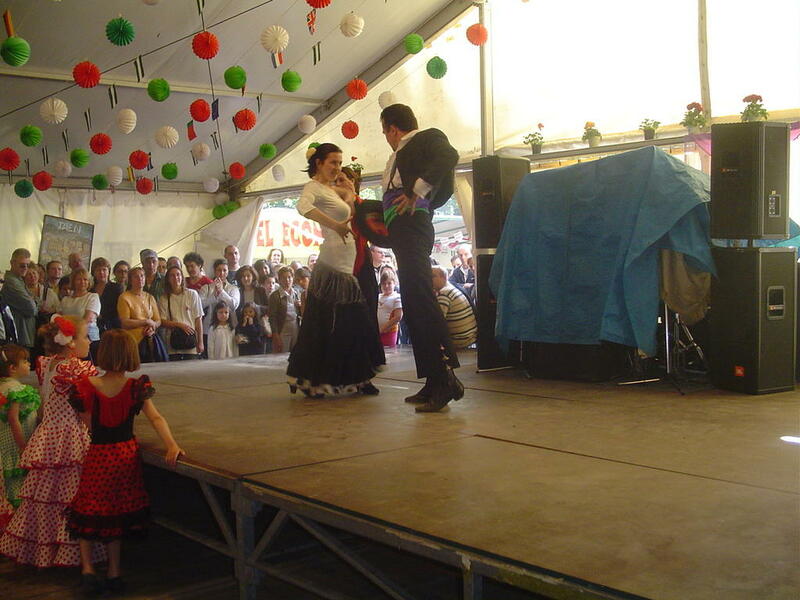 I learned Sevillanas from Aurelio Alonso and Sandra Sanjuán in 1999. 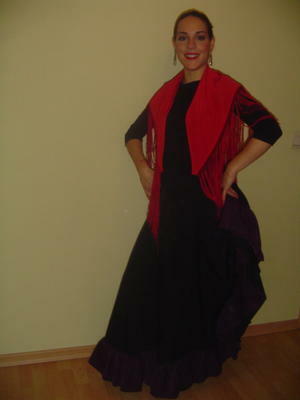 At the same time I began dancing Flamenco with Teresa Jaldón and Vida Peral in Amsterdam. Since a couple of years ago I teach Sevillanas with Aurelio and take part in different Sevillanas events and contests. Azucena Mayordomo: I was born in Valladolid, Spain, in 1972. 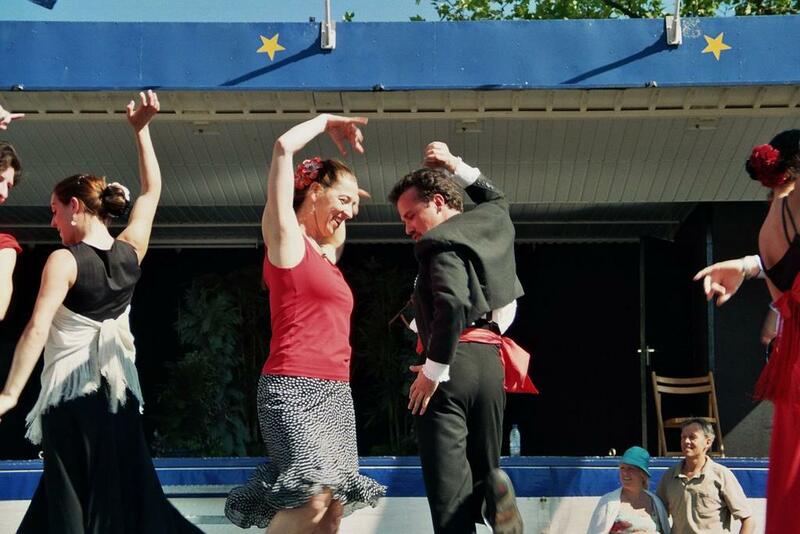 I have always been a huge Sevillanas fan but never had the chance to learn how to dance them until I in 1999 met Sandra Sanjuan and Aurelio Alonso in The Hague. 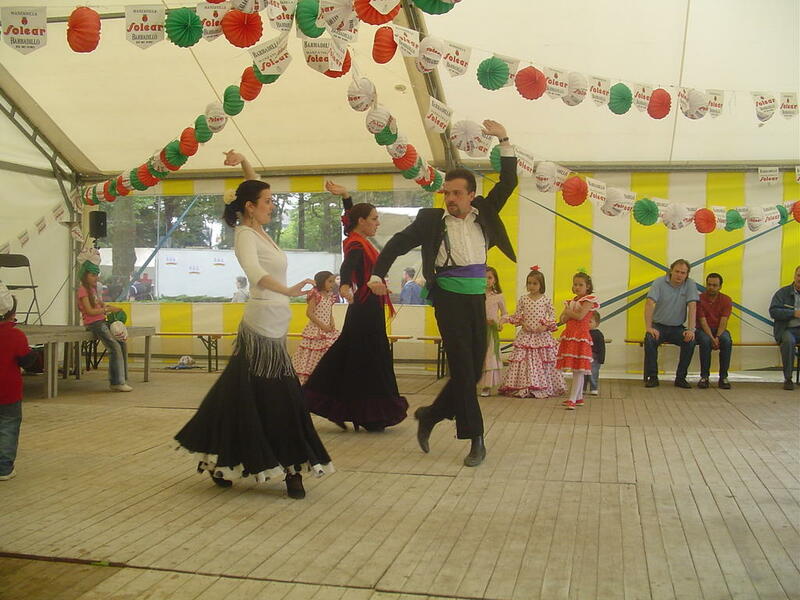 Since then, I have been involved in all kinds of Sevillanas events: classes, contests, fiestas... I even make my own Sevillanas clothes. I am currently taking flamenco lessons. On Thursday 1 October, a free lesson will be given at 21.00 hours. Everybody is very welcome to participate!! For advanced lessons and workshops, please contact us. ... We can also cook Empanadas and other tapas!! Here you can find the list of our upcoming shows. We would love if you could come. Don't forget to bring your friends along!! Brussels: EUROFERIA (http://www.euroferia.net/), 20, 21, 22 May. Rotterdam 3035: Noordplein, Saturday 28 May, at 14:45 hrs. Rotterdam: Tapas Bar Bamboleo (Pompenburg 453), Saturday 11 June, at 20.00 hrs. Rotterdam: Spaanse Market (Blaak Station Square), Sunday 19 June at 13.00 hrs. Don't forget to visit our stand !! The Hague: Every Thursday. Het Syndicaat, Nieuwe Molstraat 10. Free entrance. From 20.00 hours. Amsterdam: Every second Friday of the month.Café Bar Duende. Lindegracht 62. Free entrance. From 23.00 hours.